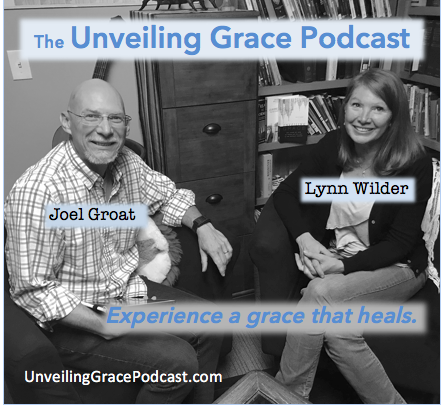 Welcome to the Unveiling Grace podcast. Listen in as Lynn Wilder and Joel Groat share scripture, stories, and practical biblical teaching that will help your life and relationships flourish. Subscribe to the Podcast in iTunes. Do you feel shamed by your performance-based religion? Do you ever feel you’re unworthy and you’ll never measure up, that you’ll never do enough to please God or those instructing you? We have good news - there is a grace that heals and frees from the burden and weight of performance-based religion. We share how that good news can bring hope and healing every week. The Unveiling Grace Podcast is place for stories, Scripture and practical, biblical teaching that will help your life and relationships flourish. We’ll also have show notes for each episode with the links, references, and resources we mention in that episode. Subscribe to the podcast for free and never miss an episode.